8 foot tall sliding chalkboards in the shape of montessori grammar symbols. 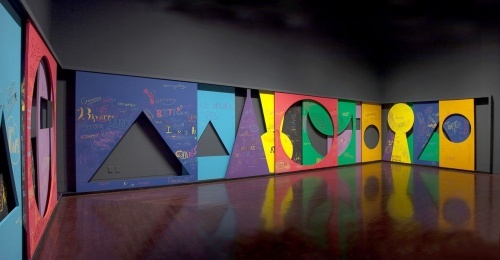 These chalkboards were on view in the 2010 exhibition Subject of Learning Object of Study. They were used in the series of performances, classes and workshops held un the exhibition.